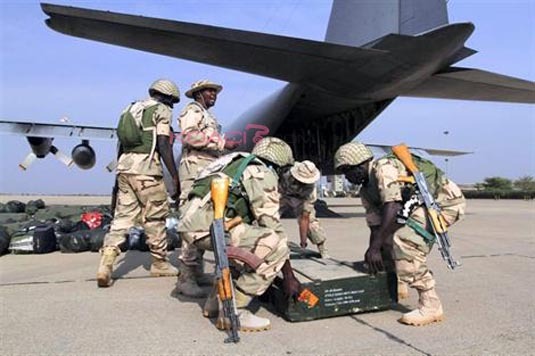 The Air Force yesterday deployed Special Forces in Zamfara State to stem incessant attacks by bandits, it was learnt. A statement by Director of Public Relations and Information, Air Vice Marshal Olatokunbo Adesanya, said the action followed directive of the Chief of Air Staff, Air Marshal Sadique Abubakar. AVM Adesanya said the Special Forces would work with other security agencies to control the situation. The statement reads: “Following the recent attack on Bawan Daji in Anka Local Government Area of Zamfara State, the Chief of Air Staff, Air Marshal Sadique Abubakar, directed that Special Forces be deployed in Gusau, as part of efforts to stop the incessant attacks. “Accordingly, the NAF Special Forces, who were trained in asymmetric warfare, were airlifted from Kaduna with the NAF C-130 Hercules aircraft to complement the efforts of other security forces on ground. “The personnel and other supporting staff would operate from the recently established 207 Quick Response Group in Gusau, where they would reinforce the existing Regiment personnel in the Unit in support of the ongoing Operation Sharan Daji in the state. “The Air Officer Commanding, Special Operations Command, Air Vice Marshal Ismaila Kaita, who addressed troops at Gusau before their deployment, said the Special Forces would be further deployed in remote areas where they would be engaged in internal security operations.